‘Fall seven, rise eight.’ If I were ever to get a tattoo, I’d get these four simple words indelibly inked.” – Psychologist and Author Angela Duckworth quoting a Japanese adage. Grit is one of those words that has fallen into some degree of disuse in years past. Perhaps its most prominent use has been as part of the title of the movie “True Grit,” a twice-released oater about a stubborn teenage girl who uses her own true grit to persuade a tough one-eyed U.S. marshal to track down her father’s murderer. Sadly, the accolades won by the two versions of the movie centered on the actors and the films’ production qualities. Not on the topic alluded to in the title. The word itself, while verbally blunt, isn’t the problem. Grit has several less rustic synonyms – backbone, constancy, fortitude, courage, resolve, pluck, meddle, nerve, tenacity, endurance, resilience, self-control, self-confidence, drive, stamina, hardness, passion, sustainability, determination, patience, fiber, persistence, and perseverance to name a good number of them Rather, it’s the lack of people exercising what grit and other words describe that has given the word its obscurity; especially among young people. It turns out, however, that grit and the traits it encompasses may well be on the rebound, given some recent attention. The need to better understand the impact grit has on our society led psychologist, author, and University of Pennsylvania professor Angela Duckworth to find that grit is a more reliable predictor of success in people than talent or I.Q. and that anyone –man, woman adult or child -- can learn to be “gritty.” Grit also appears to be a better engine of social mobility. Her research, culminating in her 2016 book, “Grit: The Power of Passion and Perseverance,” is restoring grit as “the reigning buzzword in education-policy circles…” according to book critic Judith Shulevitz in a May 2016 New York Times book review. It’s a hard trait to define or measure in one statement, but generally speaking, courage is the ability to manage fear of failure. The extent to which a person can do so is a strong predicator of success. Many successful people live under the principle that there are only two outcomes when competing: a winning experience or a learning experience. Failure is not one of them. Clearly, the long haul to greatness includes occasions where one stumbles and needs to get back up. Futurist and author Andrew Zolli in his book, “Resilience, Why Things Bounce Back,” write that resilience is a dynamic combination of optimism, creativity, and confidence, which together empower one to reappraise situations and regulate emotion – a behavior many social scientists refer to as “hardness” or grit. He explains hardness has three tenets –(1) the belief that one can find meaningful purpose in life; (2) the belief that one can influence one’s surroundings, and; (3) the belief that positive and negative experiences lead to learning and growth. Excellence vs. “Gritty” people don’t seek perfection, but instead strive for excellence. Perfection is unyielding and usually someone else’s perception of an ideal. Excellence is more forgiving; it allows for disappointment and gives priority to progress over perfection. Excellence is an attitude about – to quickly paraphrase Alfred, Lord Tennyson – seeking, striving, finding, and never yielding. Those verbs fit grit to a tee. Dr. Duckworth’s Grit Scale test was given to incoming plebes at West Point at the beginning of a very rigorous seven-week “Beast Barracks” summer training program. Turns out their self-perceptions of their grit level were a more reliable predictor of whether they would be able to finish the program than their level of intelligence, leadership potential or physical fitness. It’s important here to point out that grit is not an inborn attribute; it comes from learning basic principles and gaining hands-on experience during trials and challenges. 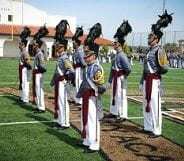 Most of the West Point plebes had cultivated grit while taking leadership roles in high school athletics, student government, on-campus extra-curricular activities as well as youth development and faith-based programs off campus, and from their parents and other adult role models at home. For children and adolescents, being able to achieve a realistic self-perception of one’s “grit level” begins when a young person first learns what grit is and that it’s an important attribute to have. They then need to be taught how to acquire those traits and to have occasions in which they gain experience in being a “gritty” individual. There’s no singular “punch list” or curriculum of what should be covered, but the following five pointers, directed to parents, are important ways to instill grit in their children. Encourage your son or daughter to think strategically about how to overcome obstacles and solve problems. Much of what they face may seem to be cured by a “quick fix” or “solved” by kicking the can down the road. Teach them the “big picture” concept by emphasizing the need to look at all the factors, including the intended – and unintended – consequences. Talk to your son or daughter about what the finish line looks like by emphasizing that taking small steps strategically will lead to great accomplishments. Look for extra-curricular or summer leadership and character development programs where your son or daughter can learn to handle social, mental, and physical challenges. 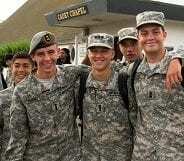 For example, in addition to its emphases on academics, leadership and character development that instill grit and perseverance in middle- and high-school age boys during the school year, the Army and Navy Academy offers middle- and high-school-age boys -- and girls -- rigorous leadership development training each summer through its JROTC Camp Challenge. 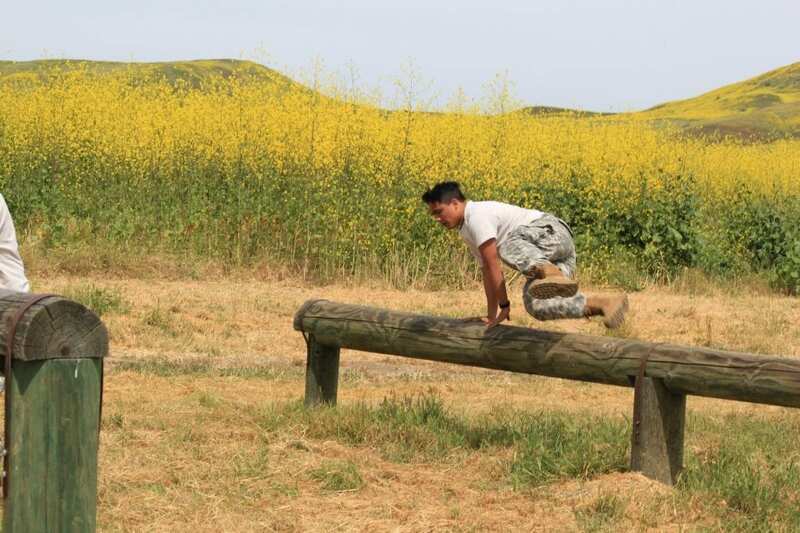 Those attending the two- and four-week camps learn to focus on achievement as they work to overcome physical and mental team challenges while developing self confidence as leaders and contributing team members. 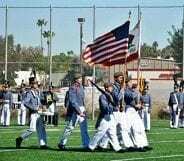 Consider a military school that embeds resilience, perseverance, and determination skills into a college preparatory academic curriculum that will equip a young person to exercise the personal attributes necessary to achieve goals. 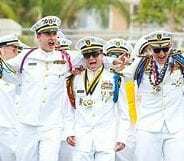 Military schools are not in place to recruit young people for the armed forces; they do use military principles and methods to instill leadership and character development, discipline, and problem-solving skills. 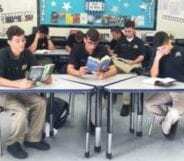 Again, the Army and Navy Academy does just that in a college preparatory and boarding school environment for middle- and high-school boys during a traditional school year. In summary, teaching teens to cultivate grit is teaching them to believe that their personal and professional success is largely in their own hands. Not a bad way to begin the journey through a life of success.